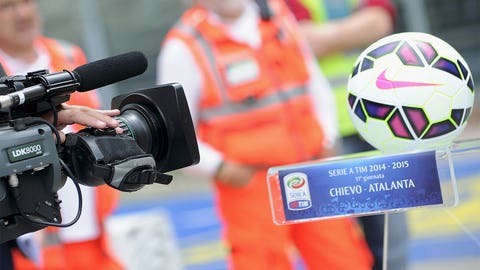 Italian police are investigating reported collusion over Serie A TV rights. MILAN — Italian financial police have reportedly confiscated documents from the Serie A league offices and several top-division clubs as part of an inquiry into alleged collusion over TV rights. The ANSA news agency and the Gazzetta dello Sport report that TV rights consultant Infront and its president Marco Bogarelli are under investigation for fixing a deal between Sky and Mediaset for the 2015-18 live domestic rights. The 2015-18 live rights were sold to Sky and Mediaset for a total of 943 million euros (slightly more than $1 billion) per season, 114 million euros ($130 million) more than the previous deal. Tax consultant Andrea Baroni, who has Infront as a client, was arrested Friday on charges of criminal association aimed at money laundering and tax evasion.